Last week I posted my first ColourPop order with plenty of swatches, if you missed it I will leave the link at the end of this post so you can have a little nosey. ColourPop is a brand everyone wants to try but some people aren't sure on how to get it to the UK or how much it costs. 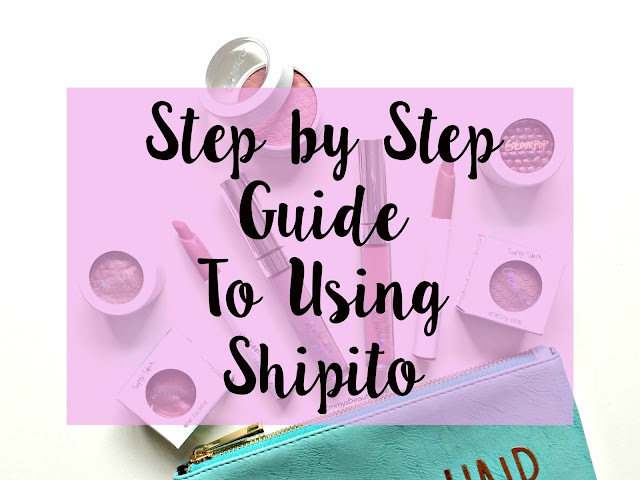 I thought it would be a good idea to do a step by step guide on what I did and how much it all cost. My hair care routine is pretty simple, I don't like applying lots of products to my hair as I don't see how that can help it? 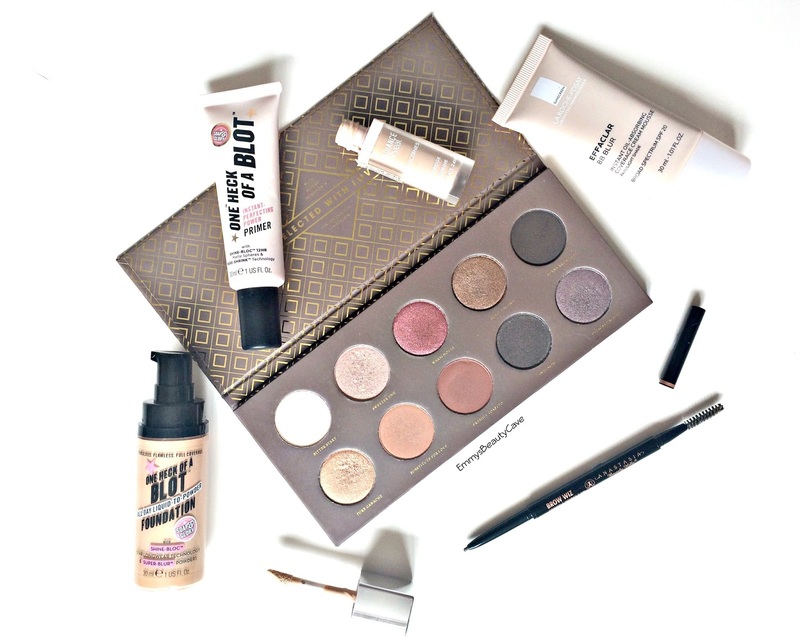 I personally like to find products that work really well and stick with them. 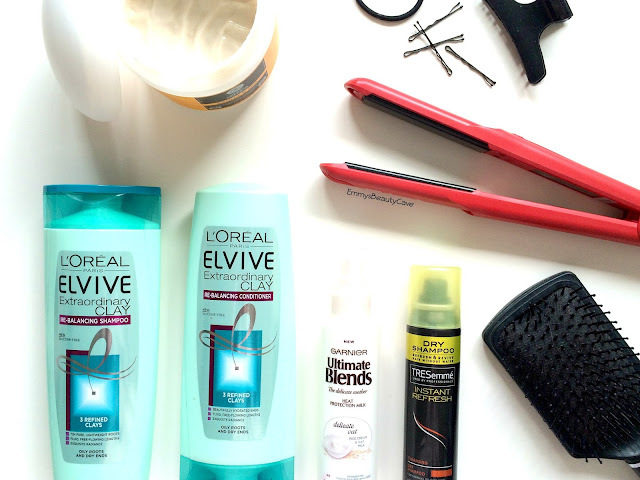 Lately I have tried many products and found the ones that make my hair feel amazing! My hair is extremely thick, every time I go to the hair dressers it takes two of them to blow dry it! Even once it has been thinned out it still feels no different. 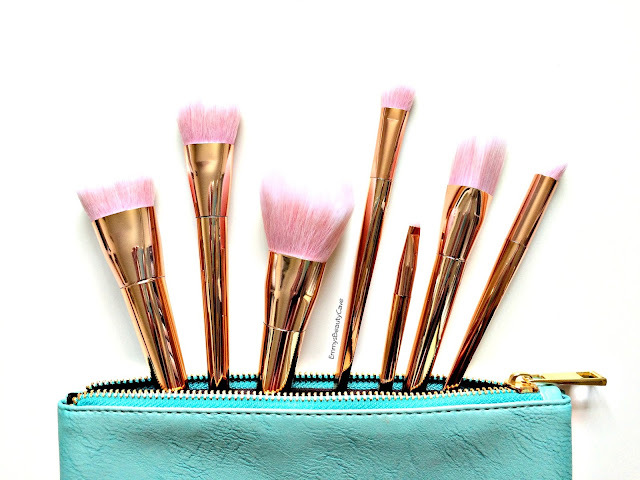 I own far too much makeup but not enough makeup brushes. Most of my makeup brush collection is made up of Real Techniques and Zoeva Brushes. I have also tried many bargain brushes from Ebay and most have been a hit but there have been a few misses. I recently saw someone mention this seven piece brush set which I thought looked very similar to the Real Technique's Bold Metals Collection. I finally hunted them down to find them on Aliexpress which is kind of like a Chinese Ebay! It is a website that sells so many things and such cheap prices and postage is mainly free on 90% of items. As it is a chinese based website postage can take anything from 10-60 days. Straight hair is my go to hairstyle. Ever since I was a teenager I always loved straight hair but my natural hair is nothing even close to being sleek and straight. My natural hair is extremely thick, when I go to the hairdressers it always takes two of them to blow dry my hair and they always say even after thinning it out that it feels no different. Once I blow dry my hair it becomes even thicker and slightly frizzy. I can't leave my hair to dry naturally as it ends up looking awful and needs washing the next day. 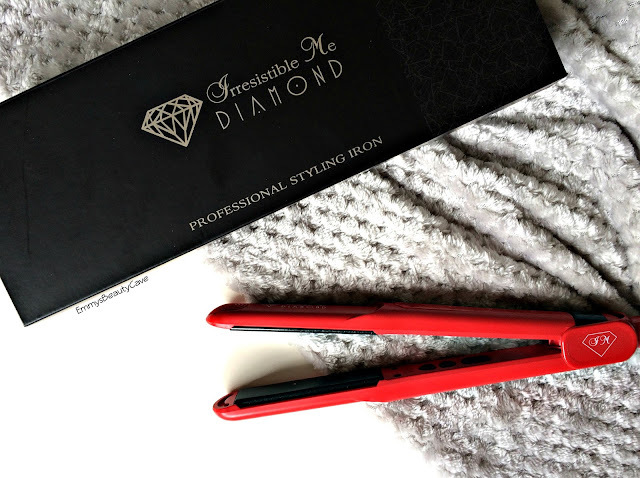 When I was contacted asking if I wanted to try the Irresistible Me Diamond Flat Iron I jumped at the chance. I have been using my GHD's for years but they recently died on me.. what a sad day that was! The palette of dreams? When I saw Urban Decay were releasing the Alice In Wonderland Palette I was in love but at the time I couldn't afford it so I just looked at pretty pictures of it online. A few weeks after the release my boyfriend surprised me with it as a anniversary present. Boy did good as they say! Urban Decay is one of my favourite brands but I don't actually own any of the Naked Palettes.. shocking I know. I knew I wanted this palette because I don't have any other palette's or shadows which include bright colours so this is perfect. It doesn't only include bright colours but some lovely neutral ones too. A few weeks ago I did my Morning Skincare Routine which went down really well. 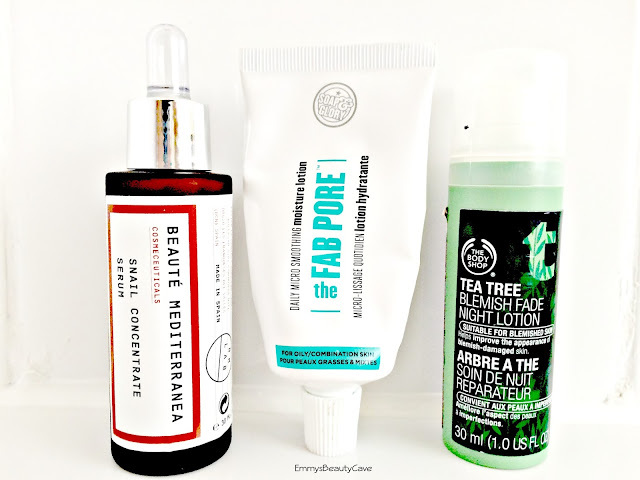 I thought it was about time I post my Evening Skincare Routine which includes completely different products compared to my Morning Skincare Routine. As I mentioned in my first post, skincare has become a huge thing for me over the past six months. My skin is clear apart from my unwanted freckles over my cheeks, they always seem to come out in full force ready for Summer! Most of skincare products are affordable, I only tend to use the odd higher end product as I find alot of drugstore products do the job. 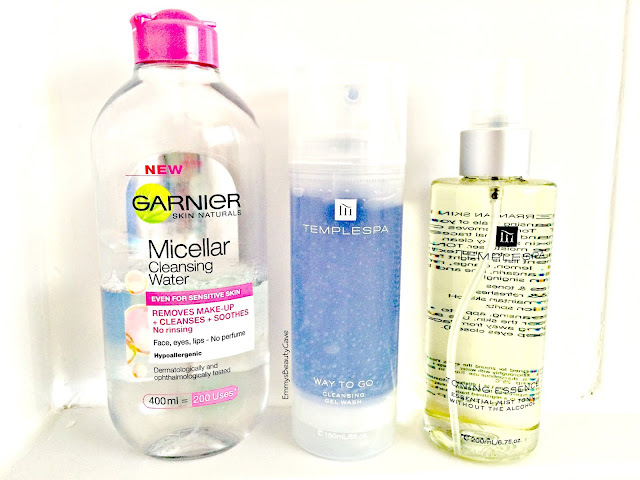 I have been using this Micellar Water ever since it was first released. I am so obsessed as it does an incredible job. I apply it onto some cotton pads and gently start swiping over my face to remove my makeup. This is AMAZING at removing heavy eye makeup, I have tried so many eye makeup removers which don't work but this beauty does the job perfectly. I had never tried a cleansing gel until I tried this one and I have to admit I am impressed. This gel feels lovely on my skin, I massage it in for a minute or so and my skin is left feeling refreshed and silky smooth. This gel cleanser is aimed at oily skin as it targets pores and reduces oil. I will definitely keep repurchasing this. I am obsessed with toning mists/sprays. If you have read or are going to read my Morning Skincare Routine then you will see that I use a different toning spray in the morning compared to the evening. This toner spray has so many benefit's it is unreal! It helps to balance your skin, refreshes, anti-aging, restores natural PH Balance and the scent is lovely. I have sensitive oily skin and this works really well, it is suited to all skin types. 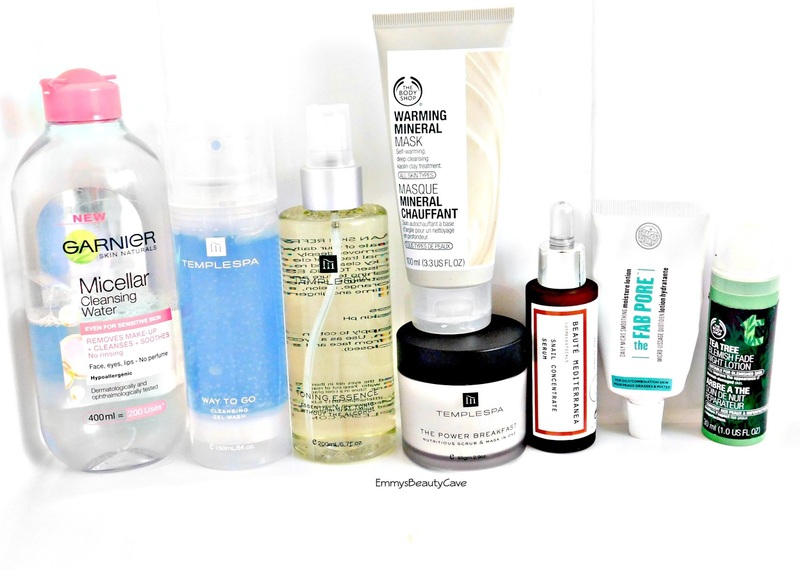 As you can kind of tell I am loving Temple Spa skincare lately! Yes this mask is called The Powder of Breakfast and Yes I use it in the evening. This mask advises to wear it whilst in the bath to get the full effects, I have a bath in the evening so I use it then. It is a grainy kind of mask which I apply all over and leave on for 20-30 minutes. The ingredients include honey, fruit juices and oats. It is aimed at combination skin and you can either use it as a minute scrub or leave it on like I do. It removes dead skin cells and makes my skin look healthy. 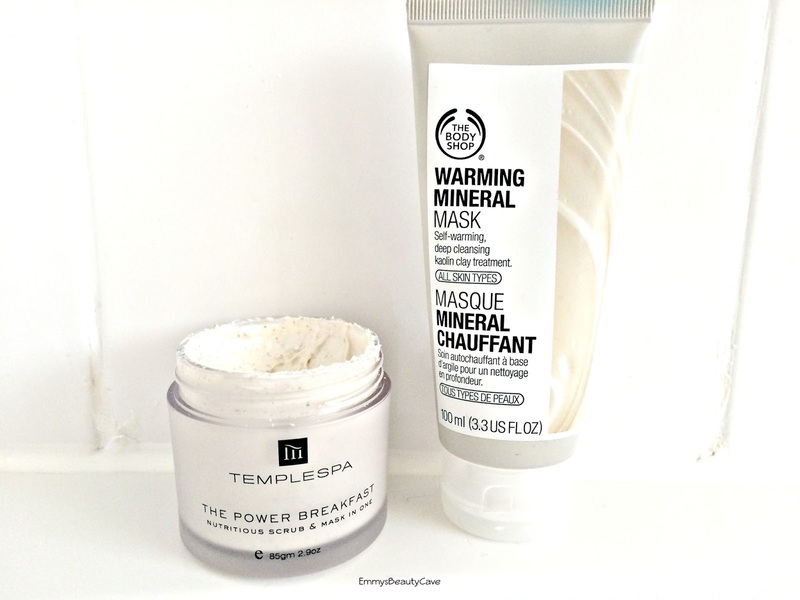 This is the mask I use when I want a quick boost rather than a 30 minute mask. Once you apply this onto your fingers and touch your face you instantly feel the heat! I was amazed at how warm this gets but the heat doesn't last that long. It is a smooth mask which instantly makes your skin feel soft. Yes I did just say Snail and Yes I put it on my face. I was sent this a few months ago now and when I first saw it I didn't want to use it because of the name but boy was I wrong. After my first use I was amazed at how this felt on my skin. It hydrates whilst controlling oil. It is also Paraben Free. It smells gorgeous too! Once you get past the name it is one of the best serums I have ever tried. If you have tried the Soap and Glory Scrub Your Nose In It Mask this moisturiser is very similar. It has the same mint colour and mint smell. The packaging I love as it looks like a large toothpaste which makes it easy to get every ounce of product out. I love applying this every night before bed. If you suffer with breakouts or Acne this is the one product I would recommend to you. I get breakouts now and again especially when it is the time of the month. When I first started using this my breakouts disappeared immediately and now I only get the odd one when its that time of the month. It does smell quite strong of tea tree hence the name but even if you don't like the smell it is worth it for the benefits. Im not one to buy a hyped up product as soon as it is released. I usually only buy them if I know I will really use them and get use out of them. 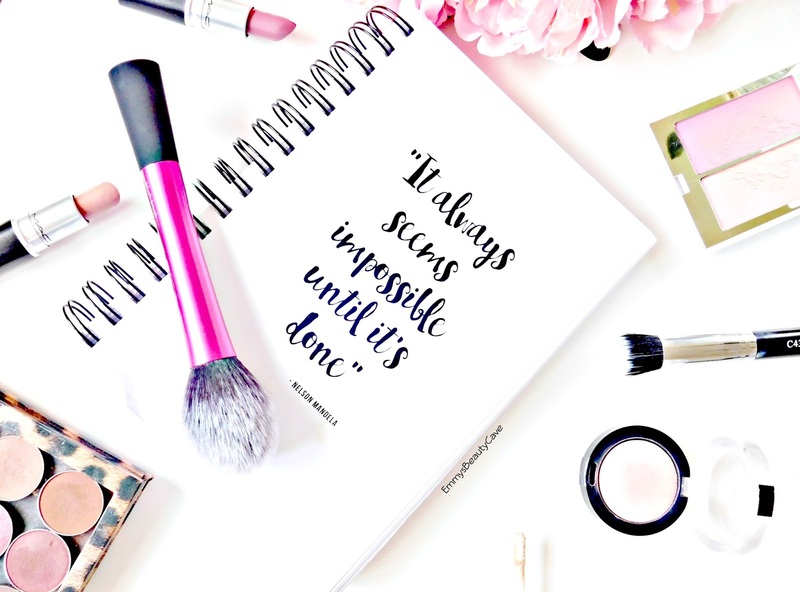 I did a blog post similar to this, my "The Blogger Made Me Buy It But Is It Worth It" which went down really well so I thought I would do this post all about hyped up products I don't think are worth the hype. 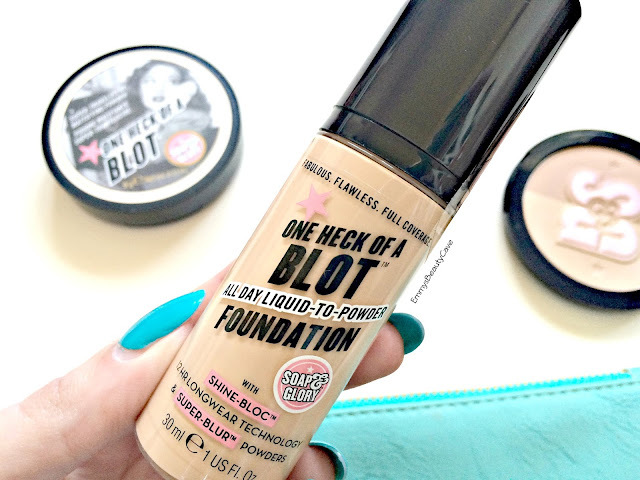 This is one I did buy as soon as it was released only because I have been using the Soap and Glory One Heck of a Blot Powder for a few years and find it is amazing for oily skin especially in the Summer. The texture of the primer I love, it reminds me of the Urban Decay Pore Perfecting Primer as it really does smooth out your skin ready to apply makeup. When I first got this I loved it but as I carried on using it I noticed it wasn't really stopping my skin becoming oily at all. I have so many other primers that do a much better job at keeping me matte. This is one of Bourjois' newest releases. I am a concealer and foundation junkie so of course I picked it up. I picked it up in the lightest shade to conceal and highlight. I love the packaging and that is about it. I have quite dark under eye circles and this doesn't cover them at all. Highlighting wise it doesn't really brighten as much as other concealers like the Urban Decay Concealer or the Seventeen Skin Wow. It does smell lovely and has a lovely creamy texture though. 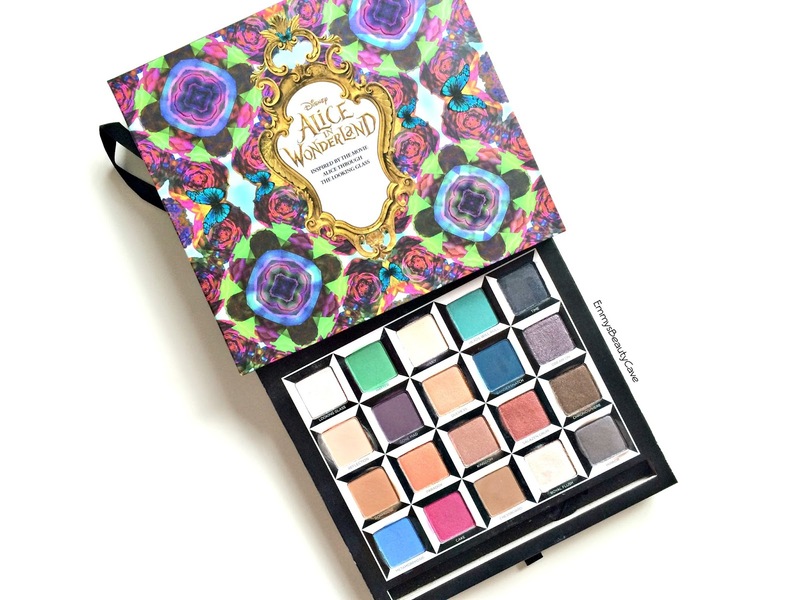 This is going to be a controversial opinion as 99% of bloggers are obsessed with this palette. I only got it about a month ago now and I think I have used it twice! 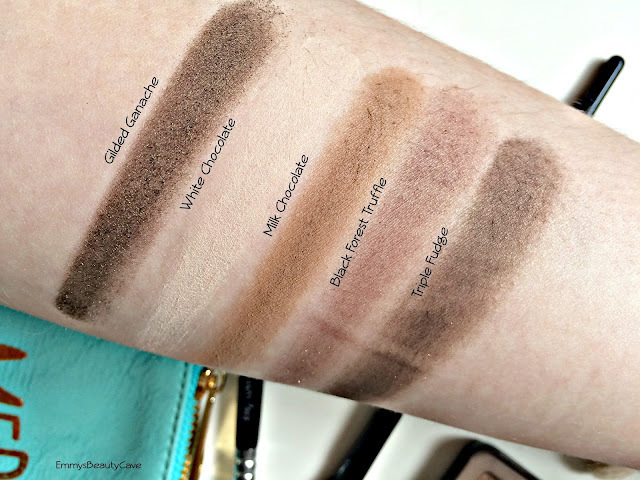 Don't get me wrong the shades are stunning and 100% my kind of shades but I find when you swatch them they are alot more pigmented than when you apply them on your eyes. I have applied these with different brushes and different eyeshadow primers and still find that they don't last on my eyes all day. After a few hours the shades don't stand out at all. I definitely prefer my Too Faced Chocolate Bar Palette which does have very similar shades to this one and also my Makeup Geek Shadows. I wanted to love this so much but I really don't. There are only five shades in this range which is awful, I got the palest shade and it is still quite dark so not great for us pale girls. I did a full review of this last week where I mentioned the main issue I have is the finish. It looks awful, I hate it. Once I apply powder etc it looks ok and lasts well but it just looks dry and horrible. Im surprised as I thought as I love the Soap and Glory One Heck of a Blot Powder that I would love this. I used to use the Anastasia Beverly Hills Dipbrow until I found the Freedom Brow Pomade version which is only £5 and works just as well. I picked up the ABH Brow Wiz when I had a voucher for Beauty Bay and thought it would be good for those days I want a more natural brow. There is nothing wrong with this product at all it is just the fact there are cheaper drugstore ones which work just as well as this one. I would much rather pay less money for something that is just as good quality. One of my favourite's which is similar is the Eylure Defining and Shading Brow Crayon which is only £6.45. Bloggers have gone mad for this product over the last few months. It is aimed at oily skin which is my skin and it is said to blur pores and keep you matte. This is a very thick mousse it is like the Maybelline Dream Matte Foundation. I have applied this in so many ways and the finish is ok, it provides great coverage for a BB Cream but considering I have extremely oily skin this looked quite dry. It seemed to dry my skin out. Again like the ABH Brow Wiz I find there are other BB Creams just as good. What Products Have You Purchased That You Don't Think Are Worth The Hype? I have been blogging over 18 months now and I am finally happy with my blogs layout. It has taken me a long time to find a layout that suits my blog and my personality, as I wanted something with a pop of colour and the lilac works so well. I have also tried and tested many widgets for my blog and now love all the ones I have. I thought I would share the free widgets for bloggers which I have found to be very useful. This is probably one of the most used widgets on your blogs. 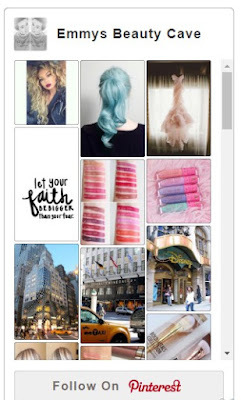 If you have noticed I have two Instagram widgets on my blog. I have the one here in my sidebar where it is 3x3 and then I also have a scroll one along the top of my blog. You can create these to be any width and length you want. I used Snapwidget to create mine. They are very simple to do. You create the Instagram Widget on Snapwidget and they will give you the HTML code to add to a widget on your blog. I had been on the search for a facebook widget for so long but most seemed to come with templates. I finally came across this facebook widget which you can see in my sidebar. It shows your facebook name, likes and also the header image. It has a Like button and a Share button which makes it easy for your readers. This widget is from Pipdig and it is currently only available for blogs on blogger. Pinterest has become my new obsession so of course I needed a widget for it. You can create the Pinterest Widget on the website HERE. It allows you to choose what shape and how big you want the widget. It will give you the HTML code to add to a widget on your blog. You have the option for different widgets from Pinterest including a Pin It Button, Follow Button, Single Pin or a full profile Pin like mine above. 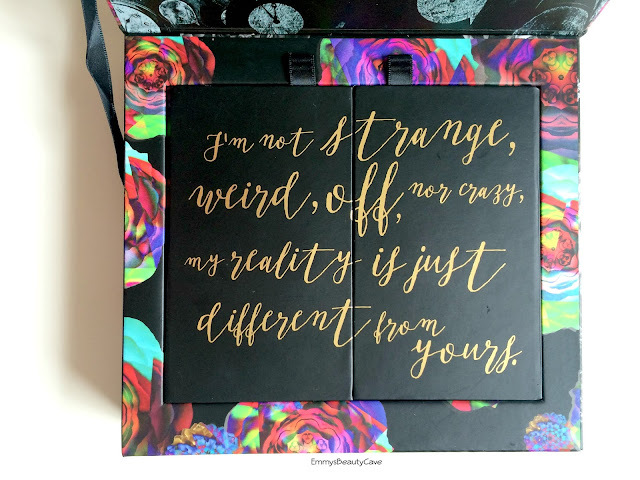 Just above my Instagram widget in my sidebar I have the small Bloglovin Widget from the Bloglovin website but I wanted something that stood out more so I designed a widget myself. I used PICmonkey which is free to use. You can also use Canva which is also free. Simply design the widget how you want and make sure you make it to size to fit your sidebar. Once you have designed the image you want to use as a widget add it to the "image" widget in your blog and add the url of the link you want it to go to when your readers click on it. Above you can see I have designed three different widgets all different styles. At the end of each of my blog posts you will see the above showing you four other posts which relate to the one you are reading. I find this really useful to show off and promote older posts. Social Media Icons are a big part of your blog as it is the easiest way for your readers to follow you on other platforms. Make sure your Social Media Icons are easy to find, I have mine in the first part of my blogs sidebar. 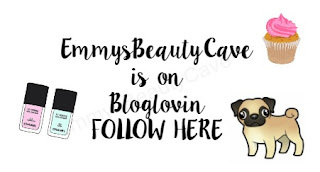 I picked these lilac coloured icons to match the layout/theme of EmmysBeautyCave. Get yours from Carrie Loves for free. She has a wide range of colours to choose from and when you download them you receive three sizes of each widget. You get a choice of Water Colours, Basic Colours, Glitter Colours & More. I hope you found some of these useful. Sometimes not everyone can afford to pay to get widget made and you can find amazing ones which are just as good but with no cost! Can we just take a moment to appreciate how stunning this palette is?! I had wanted the Too Faced Chocolate Bar palette for the longest time and i finally got it for my birthday in January. I was so excited, can you blame me! When you first open the palette the smell of chocolate is just mouth watering, even two months later it still smells of chocolate every time i open it. I thought the smell might have drifted away but it definitely hasn't. I have to admit there are four shades which let it down but the other shades are perfection! Gilded Ganache | This is gorgeous dark brown with shimmer, i find this shade has quite a bit of fallout compared to the other shades. But the fallout is more chunks of glitter rather than shadow. Still this shade looks stunning when applied. White Chocolate | The perfect matte base shade. Perfect for all over the lid and brow bone to create a blank canvas. Milk Chocolate | A warm toned matte brown, i am always using this as a transition shade. 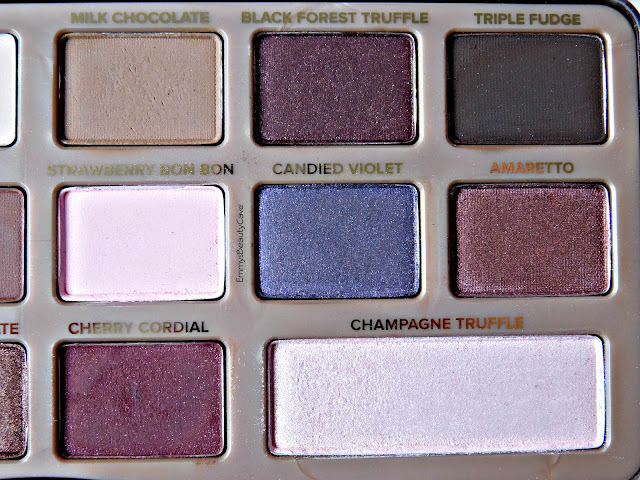 Black Forest Truffle | The first let down shade in the palette! As you can see from the swatch it lacks pigment. I am gutted as in the pan it looks like a gorgeous deep purple shimmery shade. Triple Fudge | The second let down shade!! Again it just lacks pigment, i find if i am using a small detail brush like the Zoeva 230 Pencil Brush i can still use this shade well. Salted Caramel | One of my most favourite shades!! How stunning is this?! It is a matte warm peachy shade which looks gorgeous in the crease. Marzipan | Eurgh how pretty?!! A gorgeous champagne shimmer. This shade looks gorgeous all over the lid with Salted Caramel in the crease. That is my go to look at the moment. Semi-Sweet | This is like Milk Chocolate just slightly darker. 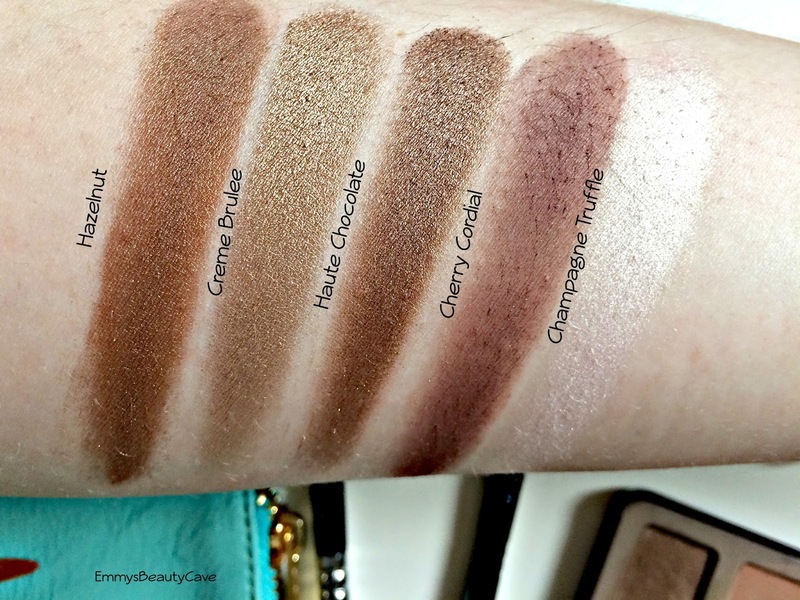 I love to use Milk Chocolate as a transition shade and then this shade just underneath as a dark transition. Strawberry Bon Bon | Pink eyeshadow isn't usually my thing but lately i have been converted. I love this all over the lid or in the crease with Marzipan. Candied Violet | One of the most disappointing shades for me. In the pan it looks like the most beautiful violet shimmery shade but when swatched you get barely anything. Amaretto | I love this shade. It is a reddish brown shimmery shade, it looks lovely all over the lid or in the crease. Hazelnut | Pretty or what? Literally as the name says it is a hazelnut shimmer brown which honestly looks lovely on. Creme Brulee | Along with Salted Caramel and Marzipan this is my favourite shade, the most stunning gold shadow i own! All over the lid this is just perfection. Haute Chocolate | This is similar to Hazelnut but slightly darker with a gold hint to it. 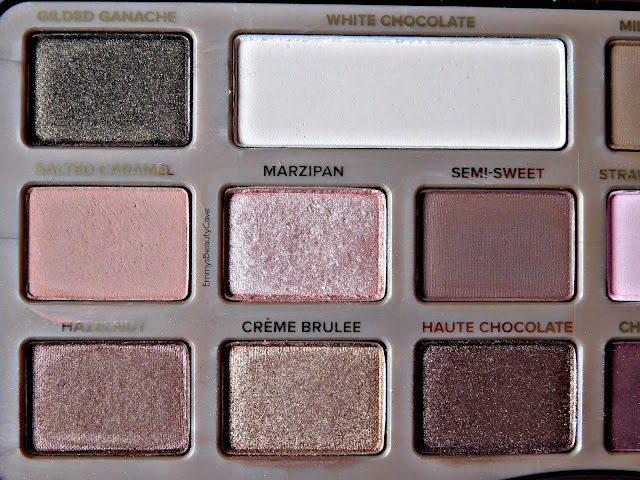 I love this all over the lid or as an outer corner shade with Creme Brulee. Cherry Cordial | A deep reddish purple. In the swatch it looks slightly patchy but once i apply with a brush it isn't patchy at all. It makes the most gorgeous crease and outer corner shade. Champagne Truffle | Save the best till last right?! I LOVE this highlight and i love that you get a larger pan of this. As a brow bone highlight it is stunning. 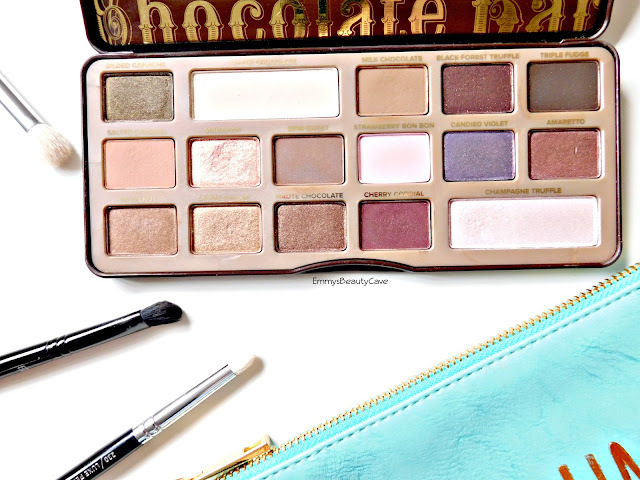 All in all this is a beautiful palette, even though it has three let down shades i would definitely buy this again! Don't get me wrong I love drugstore products but I also love High End products too. 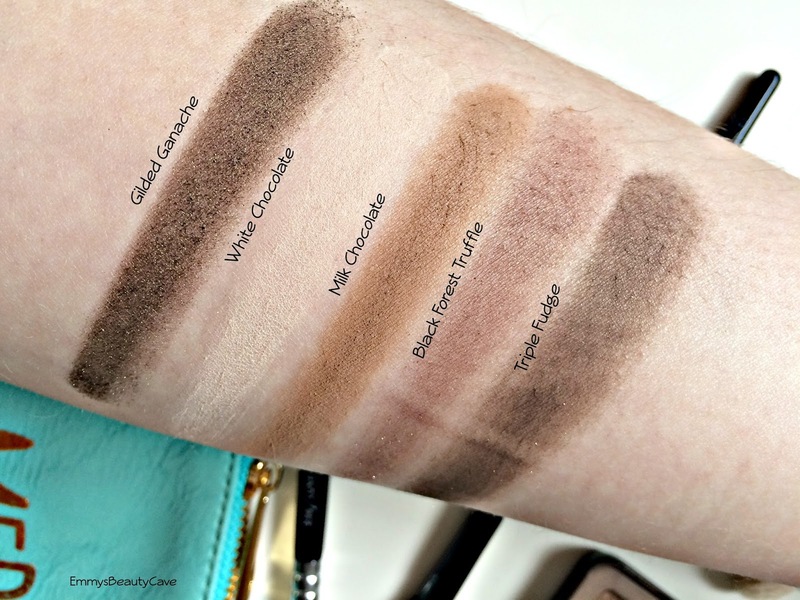 I have found I prefer High End Beauty for certain types of products like bronzers as they seem to come up less orange on my pale skin. High End Beauty isn't always in everyone's price point but I wanted to share my favourites and the ones I think are worth the splurge. I have been using this concealer for three years now! It has become a holy grail of mine that I use all the time. Even though it costs £17.50 I find this will last me around three months, so after buying a drugstore concealer for three months the cost is around the same. It is a full coverage concealer which looks flawless under the eyes. I buy a lighter shade so I can highlight with it. I was using this long before it became a hyped about product in the blogging world. I have always loved this concealer. 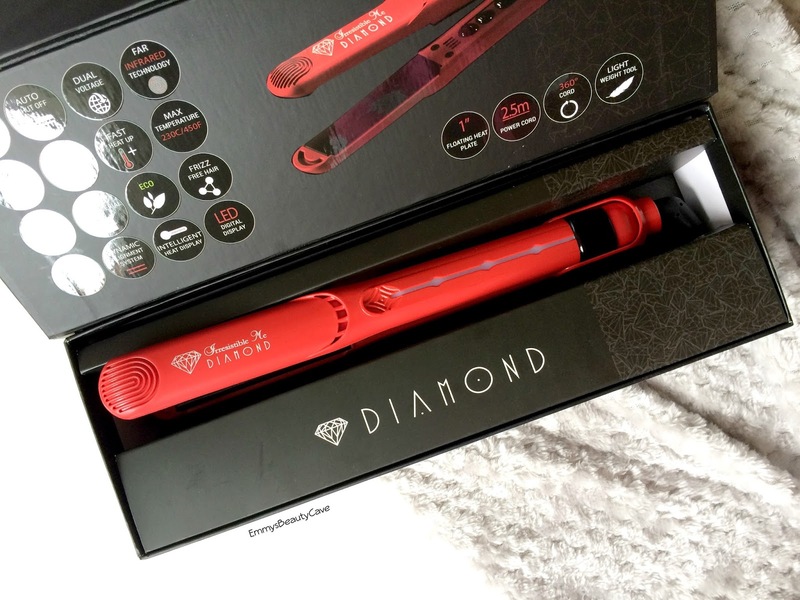 The wand is perfect as it has a flat edge on each side. 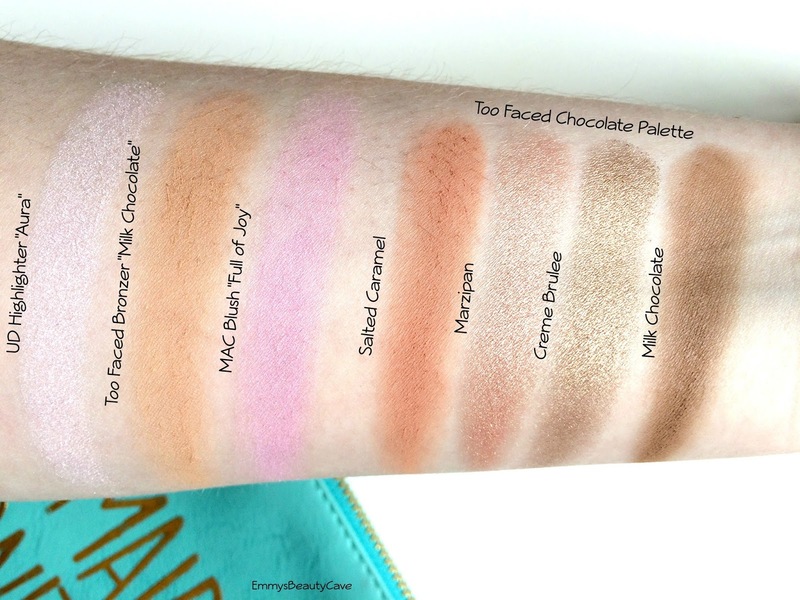 It is one of the most creamiest concealers that blends beautifully. It makes the perfect highlight. I would say this is more medium coverage. I can't believe this foundation isn't more hyped about. If you want a lightweight medium coverage with a matte finish this is for you. You can still slightly see my freckles when I wear this and it leaves my skin looking flawless. I always thought this was just one of those hyped about products that I wouldn't like but boy was I wrong. I have oily skin and thought the "glow" wouldn't work for me. It again provides medium coverage whilst looking natural. It doesn't have a glow where it looks shiny but it just enhances your natural skin. I am amazed that this lasts all day with no shine! My go to Summer foundation. This is a recent buy and I am in love. My skin has never ever looked as flawless as it does when I wear this. The colour match is perfect, It provides medium to full coverage. 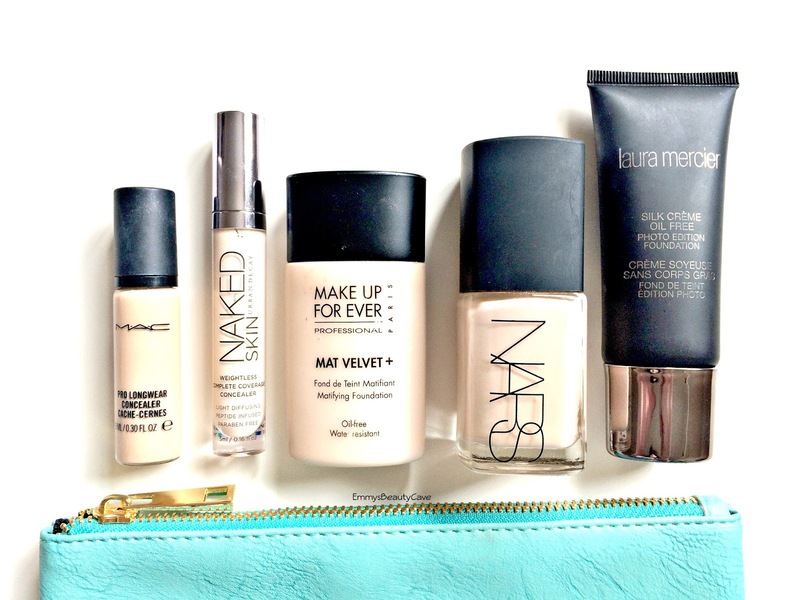 It feels very lightweight unlike most heavier coverage foundations. I find when I use either the L'Oreal Infallible Primer or the Kiss Light Reflecting Primer this foundation will last 8-10 hours really well. I mainly use this when I am going somewhere. Another holy grail for me. This is a white powder which is perfect for setting makeup or to do the baking method. It really helps brighten under the eyes and also helps my makeup last longer. 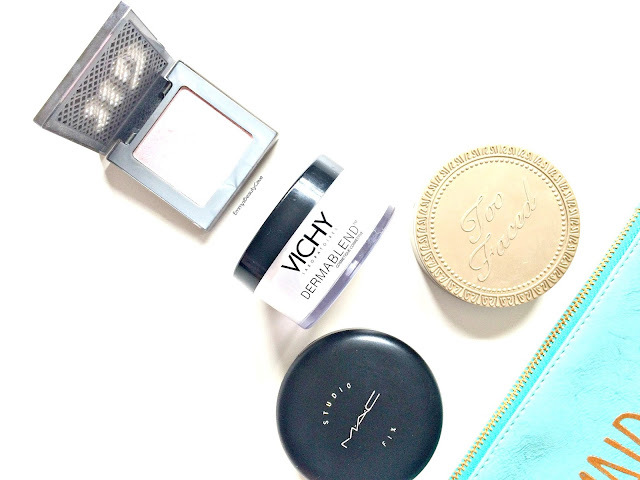 This was the first High End Beauty Products I fell in love with. This can be used on top of foundation as a powder or used on it's own. It creates the most flawless finish, it makes my skin look insane! It adds coverage whilst looking flawless. It doesn't look cakey or have that powdery look. I have been using this since January and can't wait to buy another. I have the Milk Chocolate shade which is perfect on pale skin. It isn't orange toned at all and looks lovely on. One of the prettiest palette's I own. It actually smells like chocolate and four months on it still smells like chocolate every time I open it. The shades are gorgeous and very pigmented. I find two shades out of the palette lack pigment but the rest are worth it. 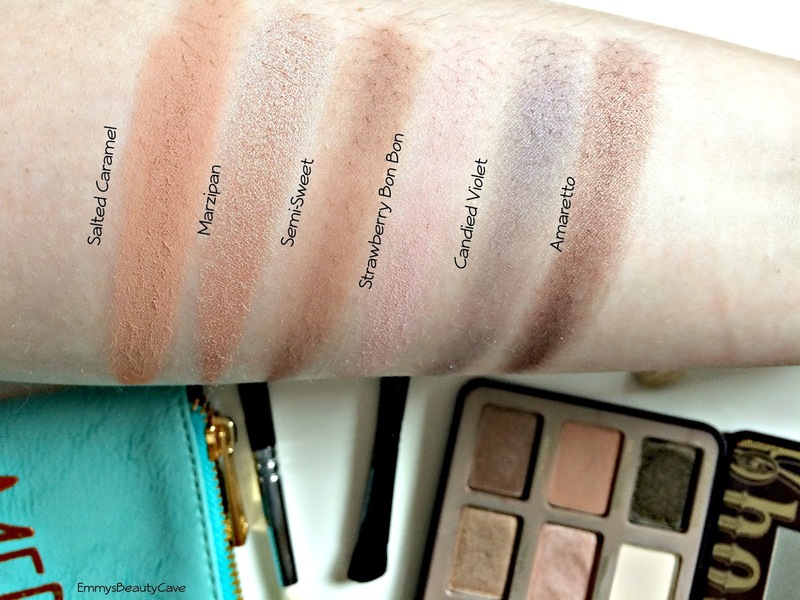 I have swatched my four favourite shades from the palette below. I can not live without this little gem. If you suffer with dark under eyes you need this! It is a peach/pink toned corrector which is very creamy. It isn't to be used on it's own, you do have to apply concealer on top. You can see my before and after photo's HERE which show how this little miracle product works. I have just finished off this travel size and now I will be buying the full size. I love the hourglass shaped wand, It really adds volume to my lashes. 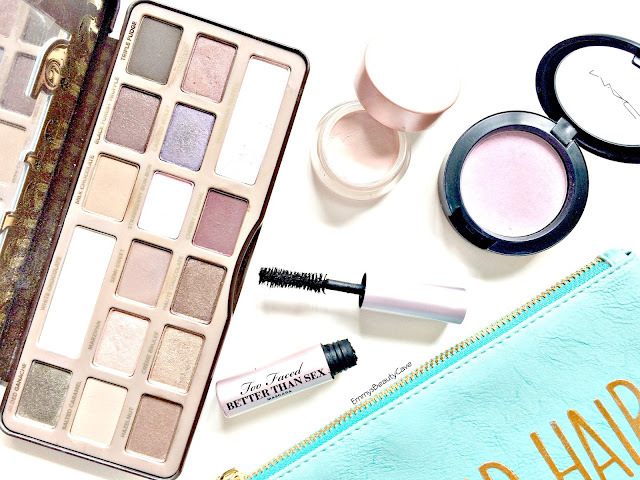 I love pairing this with Benefit's They'Re Real Mascara, they are a dream team! I had wanted a lilac toned blush for so long and finally came across this one. It is such a pretty shade and at first I was a little scared to use it. I have pale skin and it looks so pretty! When I googled swatches to see what it was like on other skin tones it seems to work best on pale - medium skin. 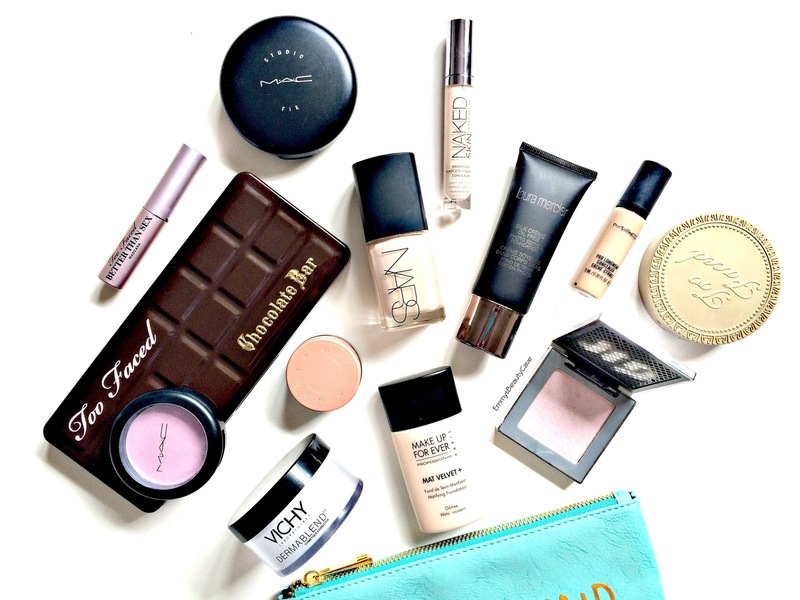 What Are Your Favourite High End Beauty Products?